There are plenty of books on the market that give advice on raising children. But what about you? 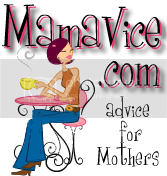 Want to know how you can survive those child-raising years? 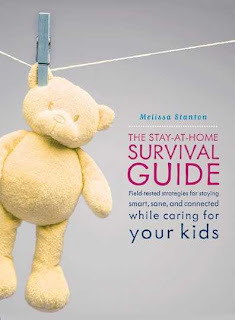 Melissa Stanton shares excellent advice on just that topic in her new self-help book The Stay-At-Home Survival Guide - Field-tested strategies for staying smart, sane, and connected while caring for your kids, published by Seal Press. Stanton is a former editor of People (my dream job) and LIFE magazines who decided to leave the workforce to raise her children. She shares the lessons and skills she's learned along the way in the book, with advice on topics such as creating time for yourself, making friends, getting your partner more involved in child rearing, and more. The book includes interviews with stay-at-home moms, discussions with experts and has checklists to help you make the most of your time and keep you balanced. Stanton also shares her own experiences on leaving a career to become a stay-at-home mom herself. I am so happy to have found a book that not only understands the struggles stay-at-home moms go through, but that gives us a guide to surviving those struggles. My absolute favorite part of the book is a little excerpt titled, "What Do You Say When You're Asked 'What Do You Do?'" 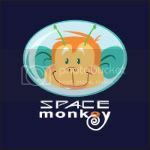 Before I became a freelance writer, I would always answer that question with, "I'm a stay-at-home mom." 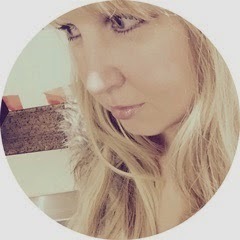 When I began writing and answered, "I'm a freelance writer," I was amazed at the difference in the responses I'd get! Their faces would light up and they would suddenly be so interested in what I had to say. As if being a mom isn't more important than putting words on a piece of paper. Wow! It felt SO good to read that! I highly recommend this book to all stay-at-home moms, dads, or those who just want to understand what it's like to be in our shoes. You'll feel an instant camaraderie with Stanton and the moms who share their experiences in the book. And what stay-at-home mom couldn't use a little camaraderie? Find The Stay-At-Home Survival Guide at Amazon by clicking here.